Every holiday season, dozens of Yarmouth families can’t afford food, clothes, or gifts for their children. 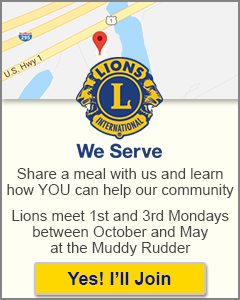 The Yarmouth Lions “Adopt-a-Family” program began in 2001, and continues to gain momentum with each passing year. In collaboration with Yarmouth Community Services and Yarmouth Cares About Neighbors (YCAN), Lions receive a list of local families who are experiencing financial difficulties, then work with neighbors, organizations, and businesses to deliver much needed care packages – including special holiday gifts. 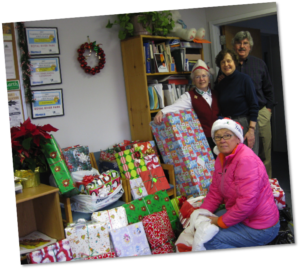 Throughout the holiday season, Yarmouth Lions collect donations, shop for needed items like clothes and toiletries, wrap, then deliver gifts to families and residents of local nursing homes. In 2017, a record number of families (12) with a record number of children (26), as well as 22 indigent residents of nursing homes were “adopted” by the Yarmouth Lions Club for the holidays. Thanks to our community, the Yarmouth Lions have contributed well over $65,000 in merchandise and gift certificates to needy families within the past 10 years.